With the failure of Tactical Fighter Experimental and the cancellation of the F-111B by 1968, the US Navy created a different program that would [hopefully] find its next mainstay carrier-based strike fighter. The Naval Fighter Experimental (VFX) competition asked for a twin-engined Mach 2.2+ fighter with the ability to carry out air-to-air and close air support operations, seat two in tandem and sling AIM-54 Phoenixes or a combination of AIM-7 Sparrow and AIM-9 Sidewinder missiles from its wing and fuselage pylons. Additionally, an M61A Vulcan rotary cannon would need to be fitted into the aircraft. Ling-Temco-Vought Aerospace, USA was one of the defense contractors on the receiving end of an RFP (Request For Proposal) from NAVAIR (Naval Air Systems Command). LTV’s bigwigs almost immediately put their engineers to work developing the fighter they felt would best fit the Navy’s requirements. They, already having the Crusader as their fighter jet claim to fame, sought help from the French company Dassault, then in the process of building and testing their Mirage G swing-wing fighter prototype. Partnerships established with Lockheed, and now Dassault, made LTV a front-runner for the contract. The final product of this relationship would be the V-507, the aircraft they put forward for the VFX. The V-507’s engineers retained a number of features from its parent aircraft, the Mirage G, including the variable-geometry wings and distinct intakes on either side of the fuselage. It was to be powered by two Pratt & Whitney TF-30-P-412 afterburning turbofans. 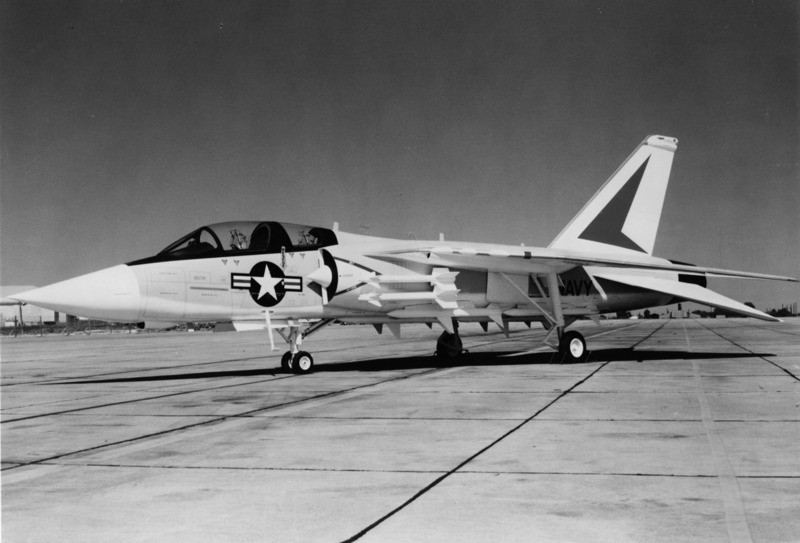 Though it likely wasn’t the fastest of the designs proposed nor the most maneuverable, Vought felt that their previous reputation built on the shoulders of the F-8 Crusader and the [then-] recent A-7 Corsair II would give them a significant edge over the other companies and firms vying for the VFX contract. However, the overseers of the program eliminated all but McDonnell Douglas and Grumman from contention in late 1968, and in 1969, Grumman was awarded the VFX contract for the F-14 Tomcat.